The amazing day has come, you received your acceptance call for your new apartment. It's a hectic and exciting time! 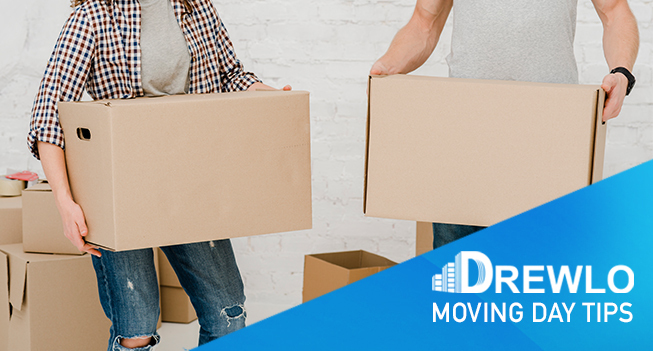 Here at Drewlo we want to make the move as smooth as possible. Here are a few tips that will make the move a piece of cake. Get in contact with the building manager as soon as possible to book the elevator. This will help avoid someone else booking the elevator on the days that work for you. Schedule & Reserve your moving vehicles months in advance. The end and beginning of each month is peak time for others moving as well. Get organized early! Start packing weeks before your move but don't pack anything you may need up until your moving day. Protect your valuables by finding a safe place to store them on moving day. If you hire movers, be sure to insure anything that's valuable or breakable. Labels are important - not only labeling what's in your boxes, but adding which room they'll be going into, as well. We are so excited for you and this new chapter in your life! If you have any questions, don't forget to contact your building managers. Enjoy your new place!